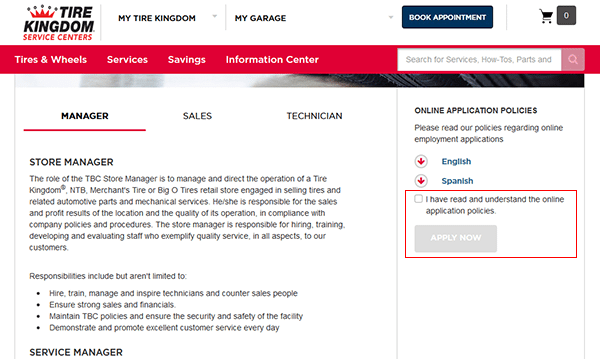 Use the links on this page to access the Tire Kingdom Job Application (online version). Several different types of careers can be searched/applied for on the company’s employment page including management, sales, and technical positions. 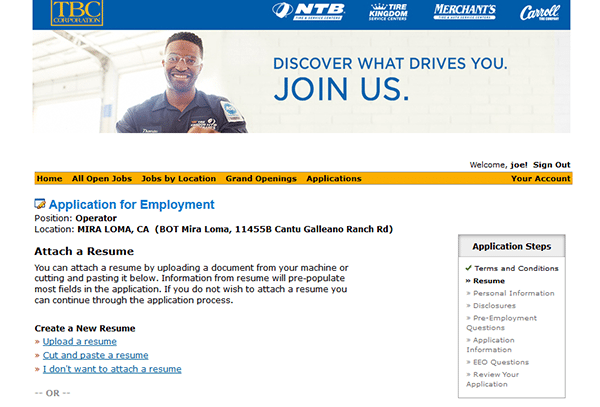 Learn more about the company’s online hiring process, how to search for jobs, create an account, and more in the below section. About the Company: Tire Kingdom is an American chain of automotive tire shops based out of Florida. 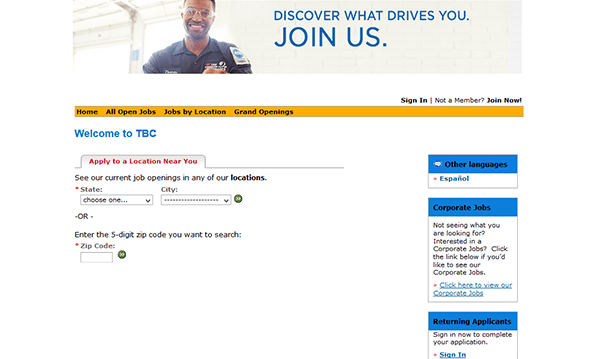 The company was founded in 1972 and is currently owned/operated by TBC Corporation. Step 1 – Copy and paste the following link into your web browser’s URL bar (in a new window/tab) and then open the employment page. 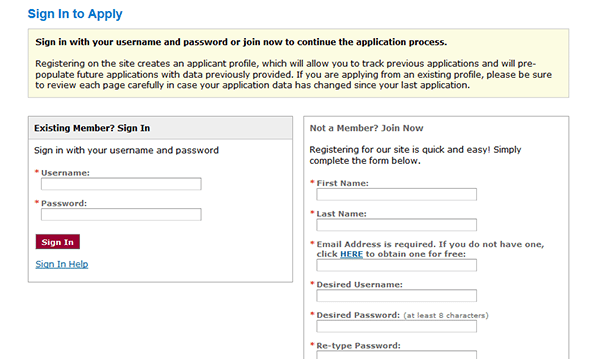 Step 2 – Scroll down the page and click the tab of the position that you’re interested in applying for (i.e. manager, technical, or sales). Review the job description/summary, agree to the terms (by checking the box), and then click the button as outlined in red in the below image. Step 3 – Select your state/city from the drop-down lists, or enter your zip code into the input field. Click the button as shown in the below image to load the results of your search. 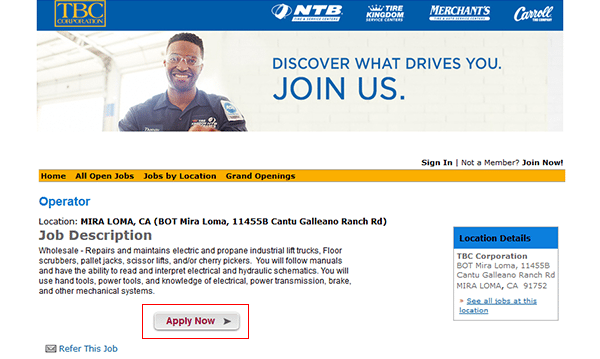 Step 4 – Select the location that you’re interested in working at. Step 5 – Click the link of the specific position that you want to start the online application process for. Step 6 – Review the job description and then press the button as outlined below. Step 8 – Consent to the pre-application disclosures. Attach/import your resume or import data via your LinkedIn profile.